The photographer's golden hour is that hour after sunrise or before sunset, when the light turns everything, well, golden. We can take that light for granted when the scene is just an ordinary Downey street. 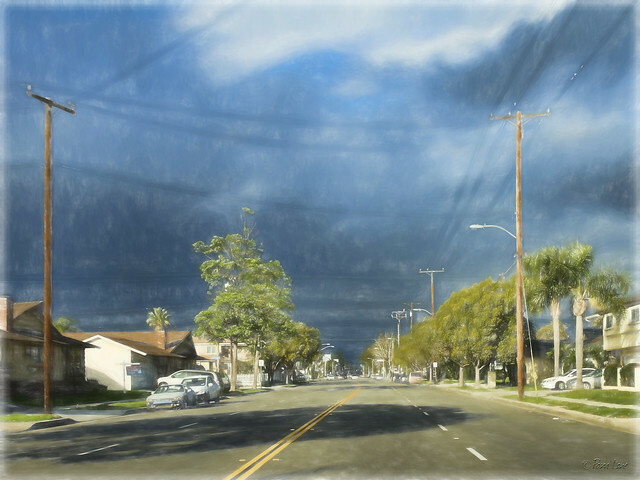 But combine that light with the dark storm clouds in the background, and even an ordinary street scene can make you stop and take notice.